Reshma H. Shah is an Associate Professor in the Practice of Marketing at Goizueta. Professor Shah joined the Goizueta Business School Faculty in 1997 after completing her Ph.D. in Marketing from the Katz Graduate School of Business at the University of Pittsburgh. She has a B.S. in Business Administration from the University of Illinois – UC and an MBA from the University of Southern California. In addition to her education, Reshma has worked full time in Corporate Component Procurement for IBM Corporation; in Litigation Consulting for Price Waterhouse; in Strategic Brand Planning for Unilever, PLC; and in Account Management for Leo Burnett Advertising. Reshma’s research interests include processes for implementing successful marketing alliances; relationship marketing; brand and category management; marketplace learning and integrated marketing communications. Her research has been published in the Strategic Management Journal, the Journal of Retailing, the Journal of Brand Strategy, Industrial Marketing Management, the Journal of Public Management and Social Policy, the Proceedings of the American Marketing Association, the Proceedings of the Association for Consumer Research, the Proceedings of the Academy of Marketing Science and various other academic and applied conference publications. Reshma is also the co-author of two books, one in the area of Social Media entitled, How to Make Money with Social Media: An Insider’s Guide on Using New and Emerging Media to Grow Your Business, published in 2014, and one in the area of Emerging Markets entitled, Breakout Strategies for Emerging Markets: Business and Marketing Tactics for Achieving Growth, published in 2016. Reshma teaches Marketing Strategy, Integrated Marketing Communications and Customer Behavior at both the undergraduate and MBA levels. 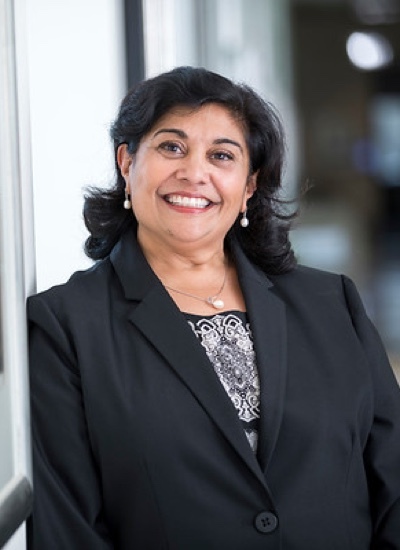 In addition to her teaching and research, Reshma spent 20 years as the faculty advisor to the Goizueta Marketing Strategy Consultancy (GMSC), Goizueta’s flagship experiential learning program. In this role, Reshma assisted student teams in completing marketing consulting assignments for such companies as: IBM, The Coca Cola Company, HP, Delta, Focus Brands, The Home Depot, CibaVision, GE, Kodak, UPS, Cox Communications, Earthlink, BellSouth, Turner, Motorola, Saab, Porsche, Acuity Brands, Chubb Insurance, and many others. As a result of its success, GMSC is now part of Goizueta’s IMPACT360 curriculum. Awarded 25 year Service Award for Excellence (2016) for managing Goizueta Marketing Strategy Consultancy (GMSC) as Faculty Advisor.